SCHOTTENRADIO CELTIC MUSIC PARTY 5.0 - 2013 - EPISODE 1. Each story has its time. This is the story of the 5th anniversary of a small radio station in the middle of nowhere. In a country named Scoermany We celebrated our 5th birthday with a 24 h radio special live on air and with your favorite... stars live on stage in Spall at Castle Wolfrhine! 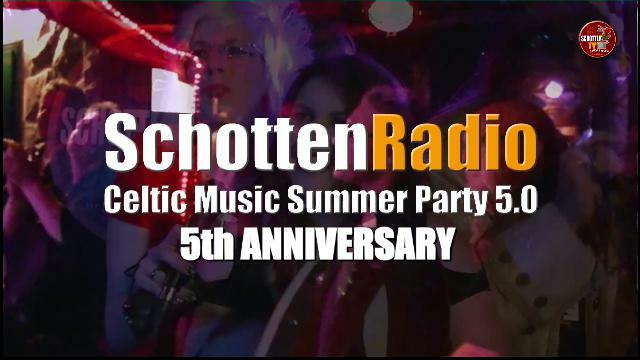 We proudly present the first of 2 episodes of our SchottenRadio Celtic Music Summerparty 5.0.